Everybody likes to eat moong dal. 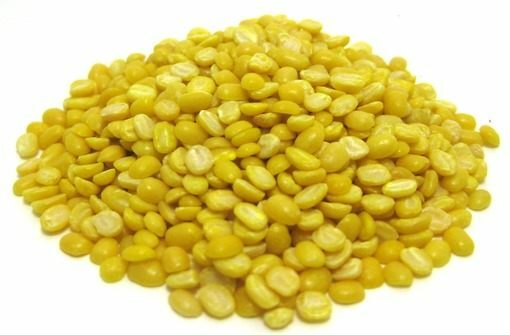 Moong dal is very beneficial for health. It keeps our body immune. It contains protein, carbohydrates and phosphors. Moong dal water is also beneficial for body. It avoids anemia and reduces weight. Moong dal water removes toxins from the body and protect from diseases. Property: Moong dal water immunes the body. It removes heavy metals such as mercury and lead from the body. It has high amount of calcium, magnesium, potassium and sodium. It contains good amount of vitamin C, carbs, protein and dietary fiber. Its glycemic index is very low. The mixture of moong dal with ghee gives nutrients. Moong dal water controls body temperature. It gives energy to the body. Weight: Moong dal water is beneficial to reduce weight. It reduces calorie and hunger. Moong dal water gives energy to the body. You can drink one bowl moong dal water in morning-evening. Light Lentil: Many times one gets too much sweat and immune system becomes weak. Moong dal water gives energy to the body. It is easily digested. It is very beneficial for body and mind. Moong dal is light therefore; it does not create gas in stomach. Healthy for Child: Moong dal water is very beneficial for child. It is very healthy. The moong dal water is easily digested. It increases the immune power of the body. It also increases immunity. Diarrhea: If you are suffering with diarrhea then you can drink one cup moong dal water. It not only fulfills the scarcity of water but also avoids diarrhea. Method: You can cook the moong dal in cooker and mix water in it. Mix one small teaspoon butter in it. You can also mix little salt in it.